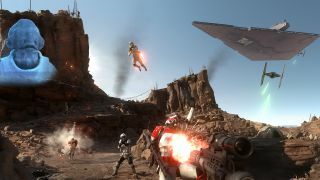 The sequel, Star Wars Battlefront 2, is just a couple of months away, but if you can't wait then the the original game's expansion packs are currently free across all three platforms. On PC you can grab the season pass (which gives access to the four expansions) on EA's Origin service for free, and it can also be picked up for PS4 and Xbox One. It's not yet clear how long the deal will run for, but we'd grab it now to avoid disappointment. If you don't own the original game, then it's also discounted across the three platforms. Meanwhile the game's sequel is due to launch on November 17 2017, so you'll have plenty of time to brush up on your skills before it's out. Check out our guides to the best Xbox One games and the best PS4 games.